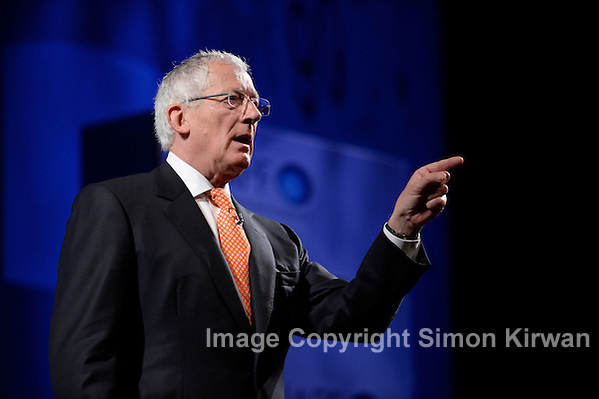 Nick Hewer of TV’s Countdown & The Apprentice, Manchester Central Convention Complex – Photo By Simon Kirwan. Simon Kirwan, based in Liverpool, north-west England, has over 25 years experience working as a commercial photographer, with clients located in UK, Europe and USA. Equally at home in corporate offices, construction site, light aircraft, mountain summit, live music concert, conference centre, trade show, exhibition venue, or sport stadium, Simon Kirwan is a photographer specialising in lifestyle marketing, live event, architectural, aerial, and landscape photography for corporate, advertising and marketing clients. He has been the official in-house photographer for ACC Liverpool, operators of BT Convention Centre & Echo Arena Liverpool, since the venue opened in 2008. Simon Kirwan specialises in corporate event photography of business conventions, trade shows, exhibitions, conferences, annual general meetings, as well as live music, entertainment and sporting events. We have covered the annual World Route Development Forum three times, in Madrid, Copenhagen and Stockholm, as well as corporate events in Paris, Rotterdam, London, and Manchester. I manage a team of photographers, and typically produce in excess of 5,000 images over the course of the event. Images can be despatched during the event, and made available to the event organisers, pr companies and news media via our online image asset management system. This entry was posted on Thursday, October 31st, 2013 at 9:16 am. It is filed under Event Photography, News and tagged with Alan Sugar, apprentice, conference, convention, event photographer, Event Photography, event photography, Lord Sugar, Manchester, Manchester Central Convention Complex, MCCC, Mnachester photographer, Nick Hewer, Simon Kirwan, Sir Alan Sugar, The Apprentice, You're Fired. You can follow any responses to this entry through the RSS 2.0 feed.